I was introduced to Pennie Rae Delimont by my house keeper, Judy Braun. Upon seeing a photo of Pennie, the Holy Spirit prompted my heart to walk through doors of opportunity for Pennie and I to grow in a relationship that is Christ honoring, Holy Spirit lead and empowered by God to enjoy all that He would have for us. 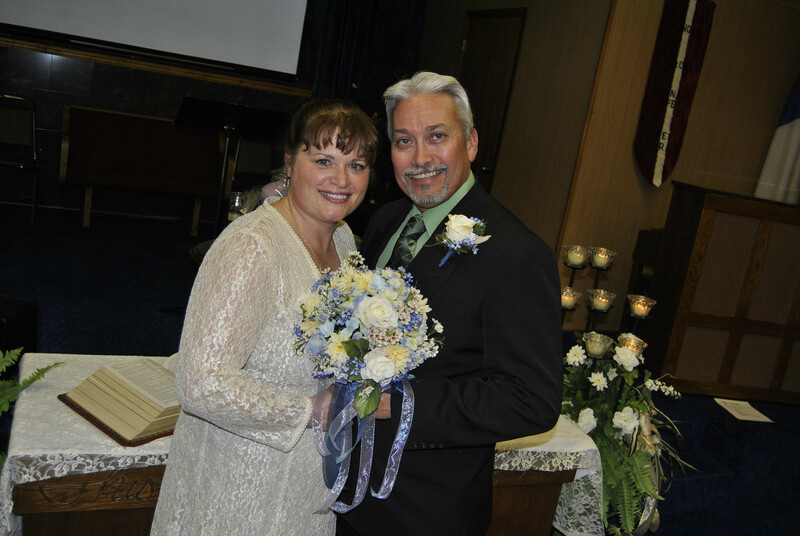 Previous to our meeting and even before the doors of our relationship were open, Pennie sat on the porch of her house surrendering the wonderful covenant of marriage completely into God’s hands. Her prayer, “Lord, if you want me to marry then lead me to the man for me, if your will is not for me to marry, then I accept your will.” It is my conviction, that was the prayer that moved “…God [to] bless the broken road that” (Rascal Flatts, Bless the Broken Road) would lead us to each other and lay the way for us to create a website that is Christ honoring, Word directed and Holy Spirit anointed to teach all who are hungry for the truths of God. After being introduced, Pennie showed all the signs of being a woman who was God fearing, hungry to know His truths and surrendered to the Lord’s call upon her life. Pennie is my best friend; she has the gifts of helps, (Romans 12:7) she is an encourager, (Romans 12:8) my lover (Song of Songs 8:10; 7) and my protectoress. (Romans 16:1-2) She is the key person the Lord is using to encourage and assist me in reconstructing CrossRoads Ministries website into CrossRoads Messages website. She has excellent discernment on how the Lord would like for this website to look. She has shown her faithfulness to me and the Lord by sacrificing time, working through exhaustion, and steadfastly to achieve the goals God has placed before her. Her faith in what God is going to do with these Biblical teachings is inspiring, energizing and a foundation for me to stand on when the enemy and accuser of the children of God attacks my mind. Before my conversion, I seldom attended church. In June of 1979, Rev. 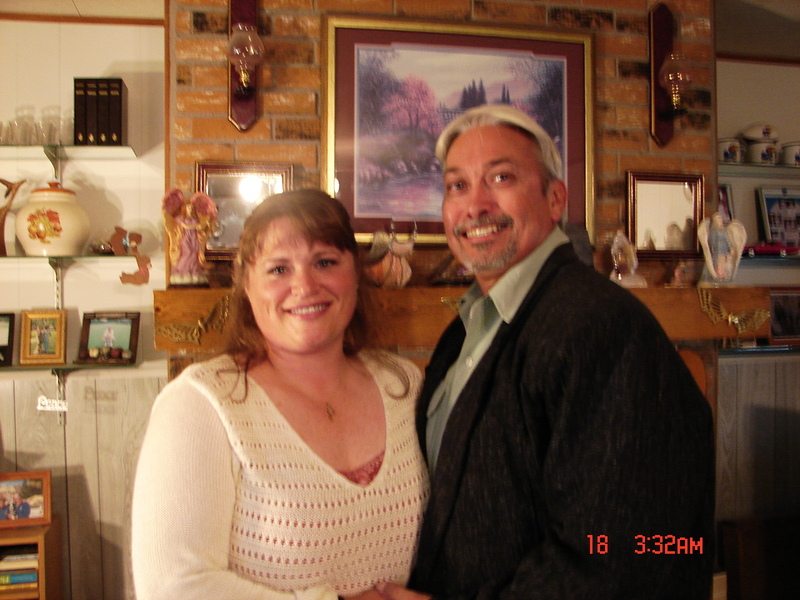 Randy Hunt shared with me the plan of salvation during premarital counseling. While I did “confess” my sins with him to please him I did not truly get saved because my confession was for the wrong reasons. I only confessed so he would perform the marriage ceremony between Bonnie and me. Even so, my mother-in-law was very perceptive, not seeing any good fruit from that prayer, and continued to pray for my salvation. After eight years of her fervent intercessory praying, the seeds that had been planted by Rev. Hunt were watered by the Holy Spirit and bore the good fruit of repentance. We live in a day where Biblical-anemic preaching and well-written books have replaced the meat of God’s word with marshmallow phrases that are pleasing to itching ears, thus leaving religious people being guided by their flesh, the world’s view and even the lies of the devil. Just as in the days of Martin Luther, we need a reformation in the Church. The Body of Christ needs Biblical shepherds called and anointed by the Holy Spirit (Acts 20:28) who can proclaim God’s truth’s leading disciples of Christ to the holiness of God and enabling them to live a life of true repentance. As much as possible I try to get the whole council of God’s Word before making key decisions, especially when preaching and teaching the Holy Scriptures. My charge is “…Preach the Word.” “Preach the Word; be prepared in season and out of season; correct, rebuke and encourage–with great patience and careful instruction.” (2 Timothy 4:2) “Preach” (k­­erússo) means to especially preach, publish or announce religious truth, the gospel with its attendant privileges and obligations in this gospel dispensation. (The Complete Word Study Dictionary; Analytical Lexicon of the Greek New Testament; Enhanced Strong’s Lexicon: Wuest Word Studies in the Greek New Testament) Truly, the Lord has enabled CrossRoads to publicly proclaim the written Word of God. Pastors, high quality para-church ministries, Christians and non-Christians have expressed their appreciation and thankfulness for having the opportunity to read our Bible teachings on a regular basis. For This We Do Praise the Lord! Pressure Points: Who’s In Charge? In addition, here are the transcript of my grades I achieved while attending Berean University. I thank my Lord Jesus Christ for leading me to the teachings of God’s Word and the examples set before me as these preachers apply the homiletic structure taught to them. As the Lord makes the way I hope to learn from others who have the same convictions as I have on Biblical exposition. Until that time, it is my hope that you will allow the Holy Spirit to give you understanding on my convictions; and I pray that the Lord will lead you to the house of God that proclaims the Word of God in a way that feeds you and your family the life-giving truth found only in Holy Scripture.